Camp Pa-Qua-Tuck Long Island special needs summer camp for children with disabilities is to achieve equality, dignity and maximum independence through a safe program of camping, recreation and education in a summer-time environment, located in Center Moriches, New York. 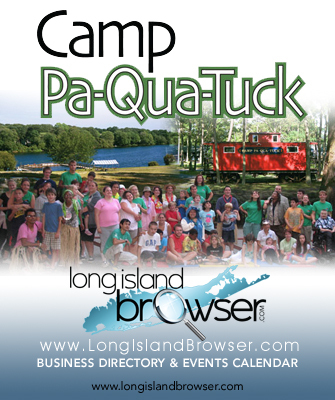 Camp Pa-Qua-Tuck Long Island summer camp for children with disabilities is to achieve equality, dignity and maximum independence through a safe program of camping, recreation, and education in a summer-time environment, located in Center Moriches, New York. In a structured, compassionate environment, the children engage in a number of activities designed to broaden their horizons. All people, regardless of ability level, have the right to opportunities found in the world around them. Individuals with disabilities, as well as their families, should experience year-round recreational and respite care activities in a camp setting. Camp Pa-Qua-Tuck of New York provides this needed service to all. The camp provides opportunities for social and personal growth within a supportive environment. Campers learn to try a variety of creative and challenging activities and experience success. Campers develop enhanced self-esteem which carries over to work, home, or school environments. All people, regardless of ability level, have the right to opportunities found in the world around them. Individuals with both physical and developmental disabilities, as well as their families, should experience year-round recreational and respite care activities in a camp setting. Camp Pa-Qua-Tuck of New York provides this needed service to all. The camp provides opportunities for social and personal growth within a supportive environment. Campers learn to try a variety of creative and challenging activities and experience success. Campers develop enhanced self-esteem which carries over to work, home, or school environments. Tags: Camp Pa-Qua-Tuck, Camp Paquatuck, children with disabilities, Long Island summer camp, New York summer camp, Moriches summer camp, children disabilities summer camp, disabled child summer camp, disabled children summer camp, camp for children with special needs, special camp children disabilities, special needs camp, special summer camp, Long Island special needs camp, Long Island camp for children with special needs, Long Island respite for children, New York respite for children, New York camp for children with special needs, New York special needs camp, Rotary Club of The Moriches.